Eurasia - A Return to Sino-Centrism? .yEurasia - A Return to Sino-Centrism? 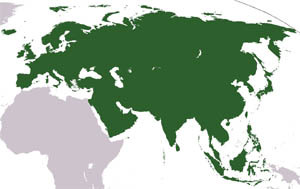 Europe and Asia are a single super-continent lying, but for the exception of the Arabian and Indian subcontinent and Russia's Sakha peninsula, on a single tectonic plate. Europe's share of this landmass is only 20%, but it holds the largest proportion of agricultural land. McKinder, one of the founding authors of the science of geostrategy, used the wording 'World Island' which seamen used to denote Eurasia and its African appendix. The Himalaya-Hindu Kush-Karakorum mountain chain has the world's highest peaks, but it is the Mongolian steppes that are one of the most effective barriers between Asia and Europe together with deserts and several major rivers along which people settled. This led to cultural fragmentation particularly in Asia and the rise of very different languages. Vernacular languages were used along trade routes. Paleolithic Europeans, who separated from Africans around 40,000 years ago, occupied the European continent until the arrival, 8,000 years ago, of a population from the Near East, which was in search of food and introduced farming. Originally centered on the Mediterranean, where civilization flourished, trade routes encouraged migration west- and north-wards. There was little migration towards Eastern Europe. Tool manufacture was very different between Europe, Western and Southern Asia and Africa on one side and the rest of Asia on the other and possible generic differences may be the basis for this, although there is the clear possibility that the availability of different materials may really be the cause. From 500 BC to 1500 AD, Eurasia was dominated by four civilizations: the Chinese, the Greek, the Indian and the Middle Eastern. Scythian warriors and barbarian nomads from the Central Asian steppes ensured that a contact was maintained between them, borrowing and redistributing various cultural and technological elements. For several centuries, Byzantium was the center of civilization as it diverged from Western civilization and leaned towards the East. Europeans exported their culture to lands as far away as the American and Australian continents. Eurasia contains 75% of the population and 75% of the planet's energy resources and most of the world's wealth. Seven out of the world's most populated countries are in Eurasia. Two thousand years ago Eurasia's population was of 200 million inhabitants divided into four equal groups living in China, India, the Middle East and Europe including the southern Mediterranean. By the end of the thirteenth century, China's population was between 70 and 100 million inhabitants. Xian, China's old capital, called at the time Changan, was the world's greatest urban center with a population of two million and was extremely cosmopolitan. Europe, until the end of the ninth century saw large migratory waves that gradually filled the continent: Slavs, Germans displacing the Celts, the Arabs. It is only starting in the 17th century that Russia and Northern Europe became more intensely populated. When the feudal system collapsed simultaneously throughout Eurasia, the population started growing with a consequent deforestation and conversion of space into arable land. Europe's population had thus access to higher amounts of protein. A series of bad harvests at the beginning of the fourteenth century had two major consequences: a general famine and a lowered immune system that allowed the spread of the Black Death that killed a third of the population of Eurasia. Some historians believe the figure was as high as 50%. The sharp increase in population that had occurred in Europe over the previous one hundred years - from approximately 25 million to 100 million - resulted in a major urban growth in appalling sanitary conditions and this was, no doubt, a contributing factor of the immense mortality due to the Plague. The peasants who had survived in Western Europe were able to take possession of abandoned land and move away from marginal areas to more productive land. They also secured their freedom from forced labor. However, this was not the case in Asia where cheap labor persisted. Cheap labor is antithetic with technology. In Britain, the nobility farmed the land with modern techniques which required a substantially smaller number of peasants. Great Britain and Western Europe were thus able to accumulate considerable wealth while representing less than 20% of the world's population. China had a fast population growth due to earlier marriage and to the absence of immigration. This led to a more intense use of resources. In the seventeenth century population both in China and Europe reached a new high, but started declining at the end of that century to eventually reach a plateau. In the Indian sub-continent, the main cities of the Mughal empire had a population of half a million each, and the population of the Indian sub-continent increased from a figure of 50 to 80 million in 1500 to reach 130 to 200 million in 1700. At that same period, the population of South East Asia is of 23 million, thus only 20 to 25% of China's population. Several cities had a population of 100 000 inhabitants. In the two centuries from 1500 to 1750, Japan's population grew from 16 to 32 million. Several cities had over one million inhabitants. By 1750, the population patterns in both Asia and Europe were such that an ecological disaster was imminent, considering that technology had not developed to the point of enabling the population to better utilize resources. By 1820, 55% of the world's population lived in China and India. Starting in 1950, both countries witnessed a population explosion. 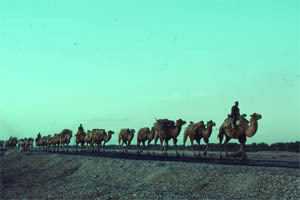 As far back as 4000 years ago, the Silk Road was a global trading system. Its name originates with the trade of Chinese silk to India, and then to Rome through the Red Sea. Roman gold coins and products such as glass and wine were used as payment instruments. Mongolia and the steppe was another trading route and the Mongols will take advantage of it to build the world's largest contiguous empire. If trade was essentially in silk cloth and finished products such as silk carpets, other products such as Indian cotton, medicinal products, Southeast Asian timber, tea and rice as well as agricultural and weapon technology were also exchanged. These trade routes flourished until the thirteenth century and goods penetrated deeply into Europe, including some cities of Northern Europe. Jewish traders, called Radhanites, brought to Europe, from the Arab world, jewelry, perfume, silk, spices and slaves. China was, at the time, a very powerful country, with a navy so powerful that it explored, under Admiral Cheng Ho, Arabian Gulf and Eastern African ports. Two, not necessary self-exclusive, explanations have been put forward for the collapse of the global trade routes: the bubonic plague and the collapse of the Mongol empire. In the medieval world, China was the most developed region of the world, whether one considers it from the point of view of technology or wealth. From the ninth to the fourteenth century, China benefited from an agricultural revolution, sustained by hydraulic techniques, and from considerable progress in communications. China's agriculture was the world's most sophisticated. Chinese technology developed earlier than European know-how. In the eleventh century, printing was common and therefore a large number of books existed. Chinese cities also counted larger populations than those in Europe. Paper money was common. There was a large production of iron. Gunpowder had been invented and so had the compass. The junks were as big as galleons and military vessels were numerous and very large. Gradually, however, Europe will overtake China both with regard to technology and wealth. Several theories have been put forward to explain this major change. One theory suggests that dietary differences between Europe and Asia, with Europeans consuming plants rich in protein, were an important factor in Europe's development. 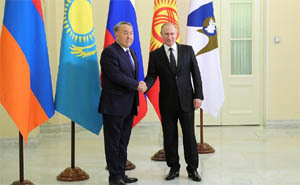 One of Putin's main policies has been the creation of the Eurasian Economic Union (EEU) that, in fact, was to be more than a security tool (the Collective Security Treaty Organization) but that would also enhance economic development. It served to create a Russian sphere of influence on the region, to create an empire in opposition of the influence of the European Union (EU) and of China. If necessary, instability in the other countries was encouraged to attain the imperial dream. So far, there has been neither improved security through the building of infrastructure, nor economic development. In this undertaking China is proving to be a major rival as it is using Central Asia as a land bridge to Europe in a project called One Belt, One Road. In this project, China undertakes to build infrastructure in Central Asia to help the countries in the area boost exports, but it will also use the infrastructure to allow for the shipment of much needed commodities to China and for faster and cheaper routes to export Chinese products. Estimates show that once the project, will be accomplished by 2025 to 2030, it will add $ 2.5 trillion to China's exports. Russia's economy suffering from the sanctions imposed to it as well as from lower oil and commodity prices, Central Asian countries are increasingly relying on China for their financial needs. Tajikistan has gone as far as ceding part of its territory to China for debt relief. China sees the One Belt, One Road initiative as a means of restoring its previous place at the center of Eurasia's economy and, longer term, as the world's hegemon. Sinocentrism is a historical model in which China was the cultural center of the world and other countries paid a tribute to it. We may well be returning to a similar system as the other countries in Eurasia continue on a downward demographic and economic slope. Anina Net: "Chinese New Year is really the biggest festival for the chinese people in the whole year. People get to have a rest and travel back to their home towns, often very far away in rural areas. Long train rides, closed factories, and no one answering the phone. A real break from it all to connect with their families. Here is the some of the backstage story to our journey. What was really significant were the people who are on our team and our dear friends in China, they made it even better! Without Biman Najika Liyanage , Jenna Merrill, Ellen, Azurel, David Ubl , Aurelien Lecour , Olga, Shorty, Leandro, the factory team, our beloved flower making girls, and the incredible Intel Team!! There were nights and nights where we had to meet the deadlines of CCTV's gruelling rehearsal and video recordings. The high security--they don't allow foreigners into the Spring Festival. I think we must be one of the only teams. At the end, everyone knew me with my gold hat and 3D printed glasses--so if something had to be gotten from beyond the two layers of security checkpoints and scans--I was able to skip in and skip out (almost) to get the items. No food, no water, no strange electronics (try getting 200 batteries into such a high security location every day). Everyone worked so hard to make this possibility happen, from executive director Jiang Gang , to Spin Peng and Paul Lu . This project was the most challenging I have yet to have done. We made it to the finish line together! One Team." May you live in interesting times, goes the old Chinese curse. So let's pause to consider the changes 2016 brought and what 2017 portends. As AIs flex their mental muscles by beating our best gamers, answer questions spoken into our phones and square up to drive our cars, the machines around us proliferate. From the tiny chattering chips in our homes and offices to drones large and small, benign and deadly. They're here to help us, but they're taking our jobs. They can face danger in our place, but they can be danger too. How will this all pan out - are humans going to deal with this sensibly, given that we react to the consequences of increasing inequality and strife by blaming the victims and voting for billionaires? Cancer may finally be on the retreat and 3D-printed replacement organs are on the horizon yet reckless use of antibiotics threatens incurable superbug infections and research into ageing has produced the bizarre phenomenon of billionaires looking to find youth, vampire-like, by transfusing the blood (plasma) of young people. Genetic engineering is becoming a precise technology (CRISPR), bringing great promise but maybe great dangers (bioterrorism). Climate change looks increasingly apocalyptic, but the president of the most powerful country on the planet thinks it is a hoax. Yet solar and wind power promise to start to displace fossil fuels on economics alone, electric cars look set to accelerate the transition, and these technologies could at the same time bring electricity (and the internet and all that entails) to the poorest on the planet for the first time. He was Provost of Nazarbayev University in Kazakhstan, a five billion dollar project to create a research university for Central Asia in co-operation with six of the top 30 universities in the world including Cambridge, Carnegie-Mellon and the National University of Singapore. He has been an investor and founder of three high technology start-ups and advised many governments and regions on the strategy, policies and implementation of innovation clusters and the exploitation of research from universities. PerspeXo Is an independent strategy firm She has worked in the fields of strategy, investor relations, communications, and structured finance at two AEX-listed companies, CF PwC and Merchant bank MeesPierson. Over more than 21 years she has assisted over 150 boards (of large stock exchange listed and entrepreneurs small companies) and directors in formulating and realising value strategies. She holds degrees in economics and archaeology, and an MBA, having studied in Amsterdam and Jerusalem. She regularly acts as moderator and speaker at conferences and business schools. Until January 2008 Huib Wursten was owner and one of the two managing partners of Itim International, a firm specialized in advising companies and supra-national organizations in managing cultural dynamics. Itim International has licensees in 25 countries across the world. 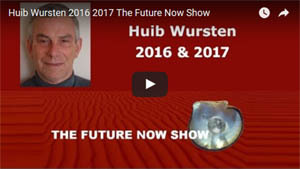 Huib sold the company in 2008 and is now working as senior consultant and lecturer for the same organization, concentrating on projects he considers as interesting. Huib is experienced in translating the international and global strategies and policies into the practical consequences for management. The objective of this study is to identify good practices that ensure the security of smart cars against cyber threats, with the particularity that smart cars security shall also guarantee safety. The study lists the sensitive assets present in smart cars, as well as the corresponding threats, risks, mitigation factors and possible security measures to implement. To obtain this information, experts in the fields and areas related with smart cars were contacted to gather their know-how and expertise. These exchanges led to three categories of good practices: Policy and standards, Organizational measures, and Security functions. The Report presents a new global index, the Inclusive Development Index (IDI), providing a richer and more nuanced assessment of countries level (and recent performance) of economic development than the conventional one based on GDP per capita alone. It also provides a policy framework showing the many factors that can drive a more inclusive growth process. Alex Kipman is the Technical Fellow of new device categories in the Windows and Devices Group at Microsoft. 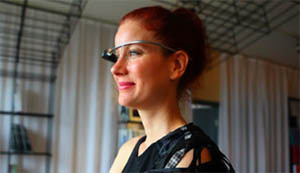 An innovator at heart, Kipman has led four major break-through products for the company, including Kinect in 2010. Microsoft HoloLens is his latest product creation, bringing holograms to Windows. 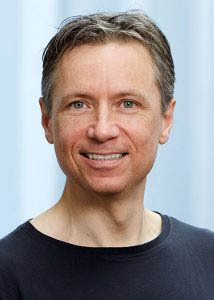 Kipman is named as the primary inventor on more than 100 patents since joining Microsoft in 2001. Kipmans dedication to creating new experiences with cutting-edge technology propelled Kinect to become the worlds fastest selling consumer electronics device. As a result he entered Microsofts Hall of Legends in 2011. This award recognizes an individual responsible for creating or directly influencing a visionary initiative through collaboration and technical leadership, creating a breakthrough in the technology industry. Kipman was born in Brazil and graduated from Rochester Institute of Technology in 2001 with a degree in software engineering. He was named one of TIME Magazine's 2011 100 People of the Year. In 2012, he was named National Inventor of the Year by the nonprofit Intellectual Property Foundation. Creating software for Kinect posed significant challenges, but that never bothered Alex Kipman. Why should it, when according to Kipman, anything is possible? "The reason I fell in love with this art form is because the only thing that holds you back is lack of imagination," he explains. "In physics, there are laws you can't bend. But in software, you can bend anything. So nothing is impossible." Alex Kipman wants to create a new reality  one that puts people, not devices, at the center of everything. With HoloLens, the first fully untethered holographic computer, Kipman brings 3D holograms into the real world, enhancing our perceptions so that we can touch and feel digital content. In this magical demo, explore a future without screens, where technology has the power to transport us to worlds beyond our own. Why do some people succeed at change while others fail? It's the way they think! Liminal thinking is a way to create change by understanding, shaping, and reframing beliefs. What beliefs are stopping you right now? You have a choice. You can create the world you want to live in, or live in a world created by others. If you are ready to start making changes, read this book. Spanning academics, business and the arts, Raffaello DAndreas career is built on his ability to bridge theory and practice. At the Swiss Federal Institute of Technology (ETH) in Zurich, his research redefines what autonomous systems are capable of. He is co-founder of Kiva Systems (acquired by Amazon in 2012, and now operating as Amazon Robotics), a robotics and logistics company that develops and deploys intelligent automated warehouse systems. He was the faculty advisor and system architect of the Cornell Robot Soccer Team, four-time world champions at the international RoboCup competition. With his startup, Verity Studios, he recently created the flying machine design and choreography for Cirque du Soleils Paramour on Broadway. Weve all heard the expression: The whole is greater than the sum of its parts. Alone, these vehicles can drive about on the ground, but it is not until they assemble that they are able to fly. The Distributed Flight Array is a flying platform consisting of multiple autonomous single propeller vehicles that are able to drive, dock with their peers, and fly in a coordinated fashion. Once in flight the array hovers for a few minutes, then falls back to the ground, only to repeat the cycle again. The individual vehicles of the Distributed Flight Array have fixed propellers that can lift them into the air, but the resulting flight is erratic and uncontrolled. Joined together, however, these relatively simple modules evolve into a sophisticated multi-propeller system capable of coordinated flight. The task of keeping the array in level flight is distributed across the network of vehicles. Vehicles exchange information and combine this information with their own sensor measurements to determine how much thrust is needed for the array to take-off and maintain level flight. If the arrays leveled flight is disturbed, each vehicle individually determines the amount of thrust required to correct for the disturbance based on its position in the array and the arrays motion. In this project, several unique juggling robots have been developed that can juggle without any cameras, microphones, or any other sensors to detect the balls. We used mathematical analysis to design the hardware of the robots such that sensorless juggling is possible. The juggling robots are used as test-beds for validating algorithms and tools we develop in our research in the control of dynamic systems. The main research project investigates the use of chaos to control dynamic systems that are challenging to control due to their symmetric structure. In addition, the juggling robots are regularly exhibited at engineering promotion events in Swiss high-schools, and in other outreach activities. Max More is an internationally acclaimed strategic futurist who writes, speaks, and organizes events about the fundamental challenges of emerging technologies. 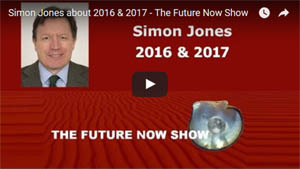 Max is concerned that our rapidly developing technological capabilities are racing far ahead of our standard ways of thinking about future possibilities. His work aims to improve our ability to anticipate, adapt to, and shape the future for the better. Dr. More co-founded and until 2007acted as Chairman of Extropy Institute, a diverse network of innovative thinkers committed to creating solutions to enduring human problems. He authored the Principles of Extropy, which form the core of a transhumanist perspective. As a leading transhumanist thinker, Max strongly challenges traditional, limiting beliefs about the possibilities of our future. At the same time, he tempers visionary aims with analytical and practical strategizing. Dr. More is President and Chief Executive Officer of Alcor Life Extension Foundation . The Alcor Life Extension Foundation is the world leader in cryonics, cryonics research, and cryonics technology. Cryonics is the science of using ultra-cold temperature to preserve human life with the intent of restoring good health when technology becomes available to do so. Alcor is a non-profit organization located in Scottsdale, Arizona, founded in 1972. As a writer, Max has authored dozens of articles and papers on topics including how to improve and apply critical and creative thinking, especially about uncertain future possibilities; the ethics of biotechnology and other technologies that directly affect humans; the philosophical implications of technological transformations of human nature; and strategic futures thinking in business. He recently wrote the Proactionary Principle, the latest of influential pieces that include "The Principles of Extropy", and A Letter to Mother Nature. He is currently working on a book, tentatively titled Beyond Caution, that responds to resurgent neophobia with a spirited yet balanced defense of progress. His academic background: Max has a degree in Philosophy, Politics, and Economics from St. Annes College, Oxford University (1984-87). He was awarded a Deans Fellowship in Philosophy in 1987 by the University of Southern California. Max studied and taught philosophy at USC with an emphasis on philosophy of mind, ethics, and personal identity, completing his Ph.D. in 1995, with a dissertation that examined issues including the nature of death, and what it is about each individual that continues despite great change over time. Mother Nature, truly we are grateful for what you have made us. No doubt you did the best you could. However, with all due respect, we must say that you have in many ways done a poor job with the human constitution. You have made us vulnerable to disease and damage. You compel us to age and die  just as were beginning to attain wisdom. And, you forgot to give us the operating manual for ourselves! Copyright © 2002-2017, Club of Amsterdam. All rights reserved. Kipman’s dedication to creating new experiences with cutting-edge technology propelled Kinect to become the world’s fastest selling consumer electronics device. 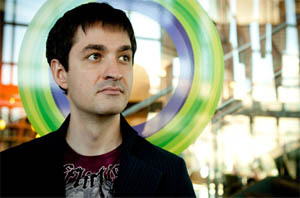 As a result he entered Microsoft’s Hall of Legends in 2011. This award recognizes an individual responsible for creating or directly influencing a visionary initiative through collaboration and technical leadership, creating a breakthrough in the technology industry. Kipman was born in Brazil and graduated from Rochester Institute of Technology in 2001 with a degree in software engineering. He was named one of TIME Magazine's 2011 ‘100 People of the Year.’ In 2012, he was named National Inventor of the Year by the nonprofit Intellectual Property Foundation. Alex Kipman wants to create a new reality — one that puts people, not devices, at the center of everything. With HoloLens, the first fully untethered holographic computer, Kipman brings 3D holograms into the real world, enhancing our perceptions so that we can touch and feel digital content. In this magical demo, explore a future without screens, where technology has the power to transport us to worlds beyond our own. Spanning academics, business and the arts, Raffaello D’Andrea’s career is built on his ability to bridge theory and practice. At the Swiss Federal Institute of Technology (ETH) in Zurich, his research redefines what autonomous systems are capable of. He was the faculty advisor and system architect of the Cornell Robot Soccer Team, four-time world champions at the international RoboCup competition. With his startup, Verity Studios, he recently created the flying machine design and choreography for Cirque du Soleil’s Paramour on Broadway. We’ve all heard the expression: “The whole is greater than the sum of its parts.” Alone, these vehicles can drive about on the ground, but it is not until they assemble that they are able to fly. The individual vehicles of the Distributed Flight Array have fixed propellers that can lift them into the air, but the resulting flight is erratic and uncontrolled. Joined together, however, these relatively simple modules evolve into a sophisticated multi-propeller system capable of coordinated flight. The task of keeping the array in level flight is distributed across the network of vehicles. Vehicles exchange information and combine this information with their own sensor measurements to determine how much thrust is needed for the array to take-off and maintain level flight. If the array’s leveled flight is disturbed, each vehicle individually determines the amount of thrust required to correct for the disturbance based on its position in the array and the array’s motion. As a writer, Max has authored dozens of articles and papers on topics including how to improve and apply critical and creative thinking, especially about uncertain future possibilities; the ethics of biotechnology and other technologies that directly affect humans; the philosophical implications of technological transformations of human nature; and strategic futures thinking in business. He recently wrote the Proactionary Principle, the latest of influential pieces that include "The Principles of Extropy", and “A Letter to Mother Nature”. He is currently working on a book, tentatively titled Beyond Caution, that responds to resurgent neophobia with a spirited yet balanced defense of progress. His academic background: Max has a degree in Philosophy, Politics, and Economics from St. Anne’s College, Oxford University (1984-87). He was awarded a Dean’s Fellowship in Philosophy in 1987 by the University of Southern California. 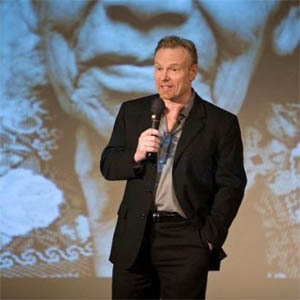 Max studied and taught philosophy at USC with an emphasis on philosophy of mind, ethics, and personal identity, completing his Ph.D. in 1995, with a dissertation that examined issues including the nature of death, and what it is about each individual that continues despite great change over time.